Driving Question: What shaped our family members’ lives and how can we capture these moments using research techniques and creative writing to tell their stories? Journal of Family History Students will need to brainstorm different stories from family members and initiate an interview process, which requires strong communication skills. Students will also need to collaborate with other team members to research the historical period. Students will complete their “Need to Know” lists for each aspect of the interview process, which will be graded. Students will need to submit the transcript of their interview. Students will work in groups and will be responsible for submitting their historical guides. For students who struggle to identify a family member or event, lists of possible topics will be given to students. The same will be true of interview questions. Students who struggle to transcribe interviews will be given assistive technology. 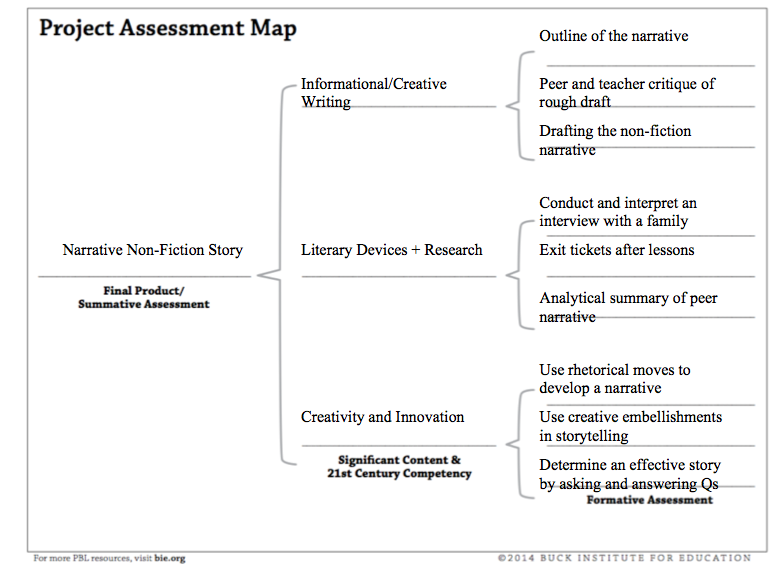 Students will use creativity and innovation competencies to compose a narrative based on the interview they conducted. Students will also need to use critical thinking skills to successfully translate an interview into a piece of creative writing. 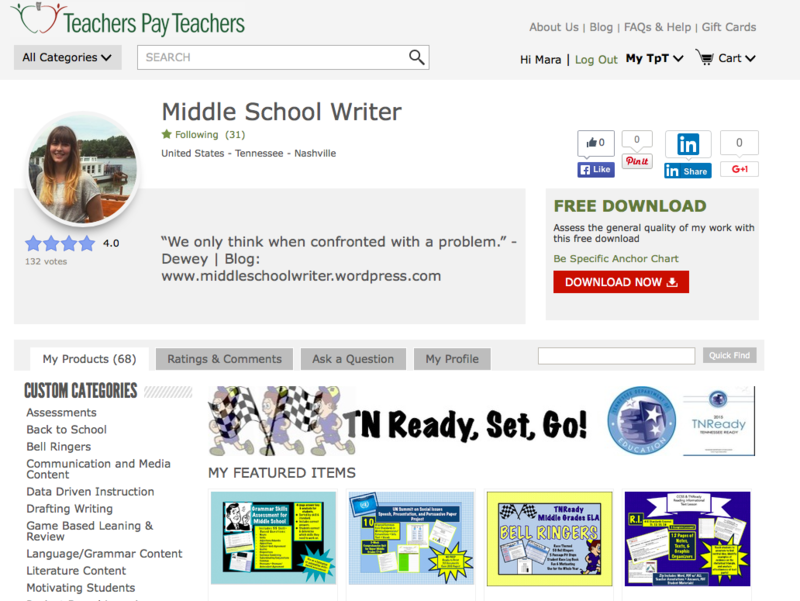 Students will be submitting portions of their essay on a daily basis after working in class. 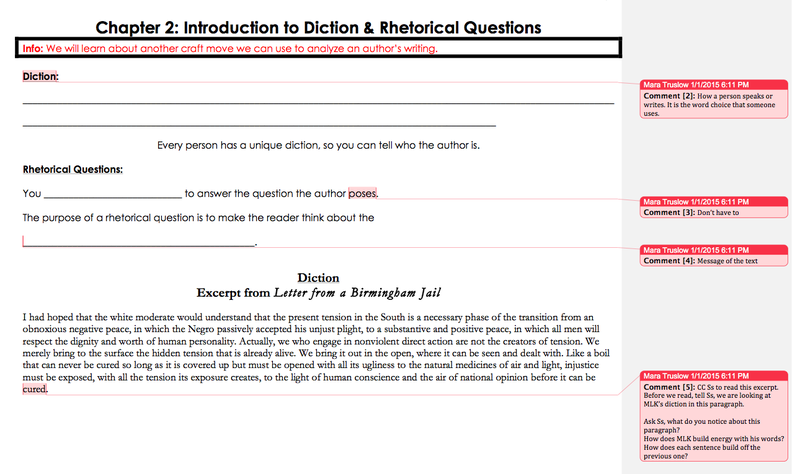 Students will also be held accountable to peer editing. 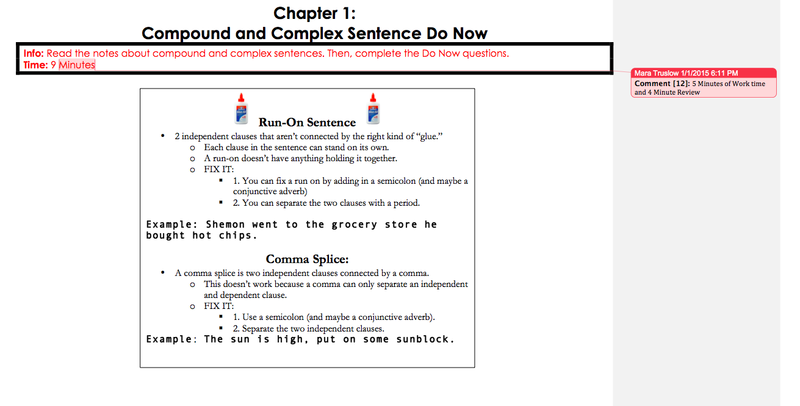 For students who are struggling writers, additional scaffolds like sentence starters and outline guides will be provided. The teacher will also pull struggling students in small groups during the drafting process to guide writing. Students will need to collaborate extensively to determine tasks and compile a book of all non-fiction works. Students will also need to use their communication skills to successfully put together a coherent and cohesive book of their work. The teacher will designate team leaders for each element of the project who will be responsible for reporting what has been completed and what is left to be finished. Students will also complete exit tickets on their contributions and reflections on the publication of the project. For students who are less vocal, they will be given more specific responsibilities to ensure they are involved in the publication process. Students will be grouped heterogeneously to promote collaboration and mentorship. 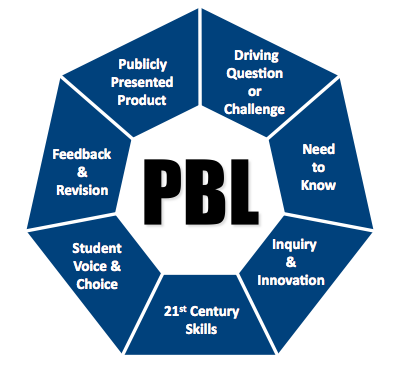 Below is the Project Assessment Map that details how this unit aligns with PBL core competencies. Below are a few screen shots of sample lessons that are available at the end of this page as a PDF or Word document. 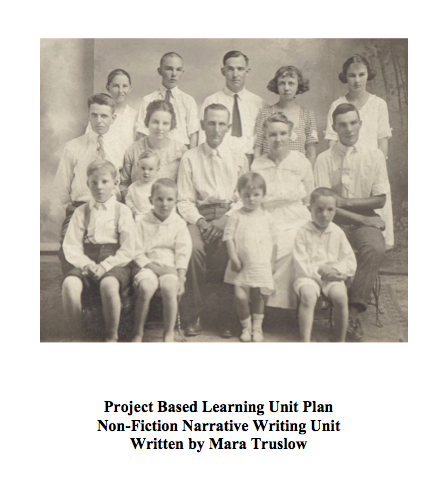 The unit plan includes Common Core aligned standards for each lesson, an overview of each day’s lesson, a formative and summative assessment, rubric for the narrative non-fiction piece, and sample lesson plans.